Samsung Bioepis, a biosimilar-focused joint venture between Samsung BioLogics and U.S.-based Biogen, on Tuesday announced that it has gained marketing clearance from the European Medicines Agency (EMA) for a large dose version of its biosimilar drug Ontruzant (trastuzumab) to treat breast cancer. The European authorities accepted the Korea-US JV’s application to sell the 420mg biosimilar product referencing Switzerland-based Roche Holding‘s Herceptin. The company’s smaller 150㎎ dosage biosimilar version, which is identical to the original formulation, was approved in Nov. 2017 and became available from March 2018 across Europe. Samsung Bioepis said there is strong demand for both 150 mg and 420 mg products in Europe and it expects to provide more treatment opportunities for patients by expanding its product portfolio. 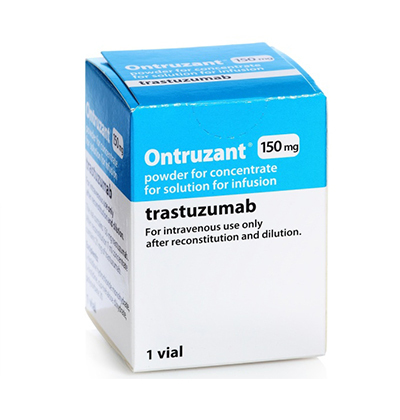 Ontruzant indicated to treat early-stage breast cancer, metastatic breast cancer and metastatic gastric cancer has been launched in 10 European countries. In September 2018, the company won a 12.7 million euro contract from French hospitals.